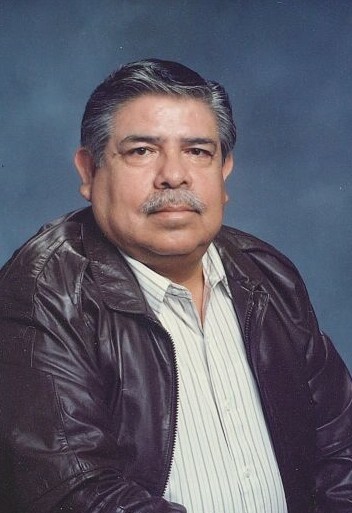 Antonio “Tony” Ramirez, 83 of Devers, Texas passed away at his home, February 5,2019 surrounded by his loved ones. Tony was born August 21, 1935 in Vidor, Texas to parents Juan and Nestora Ramirez. He attended school at Devers ISD and graduated from Liberty High School in 1953. In high school he played baseball, basketball, track,and was a part of the FFA as the treasurer. Tony served our country in the Air Force as an airman from 1956-1960 and served two years in the reserves where he was honorably discharged. While in the Air Force, he met the love of his life Francis Ramirez. They were married and spent over fifty wonderful years together. He worked at champion paper-mill where he retired after thirty-two years. Tony spent his retirement loving life on his farm, bailing hay, and tending to his cattle. He loved watching his family in competition bbq cook-offs, making homemade tamales, watching the Rockets play,and going to church on Sundays. Antonio is preceded in death by his parents, siblings Augustine, John, and Rosa, and his wife Francis who he is now reunited with. He leaves behind his children, Christina McKinney and husband Dennis, Daniel Ramirez and wife Donna, Margaret Stevens and husband Lee, Patty Lucas and husband Steven, and Michael Ramirez and wife Jerra, grandchildren; Meridith Villegas and husband Gonzalo, Megan Salazar and husband Daniel, Allie Lucas, Brandon Lucas, Perry Stevens, Cade Lucas, Anthony Ramirez, Eli Ramirez, Jenna Ramirez, Josh Burk and wife Kristin, Jeremey Burk, Alyse Martin and husband Gerald, Jerry McKinney and wife Alexandra, great- grandchildren; Preston, Samuel, Easton, Aria, Callie, Chandler, Haley, Hayden, Maddison, Riley, Colton, Rea Ann, Katelynn, Gavin,Aiden, Landon, and Grayson.